It is smart economics to support local creatives. Think about the most attractive places to live. They all have strong creative classes and thriving arts scenes. Economist Richard Florida talks explicitly about the value of locally produced creative goods and services as a common attribute of communities that attract a strong workforce. And when those local goods thrive, they become exports and franchises that bring outside money back into our community. Buying local art is an easy way to develop our economy, strengthen our workforce, and improve our quality of life. From the Q Gallery to Judah Studios, Portage County is home to many great artists and arts businesses. Click here for a shopping guide that features these rich Portage County assets and start growing our economy today! Expanding? Redecorating? 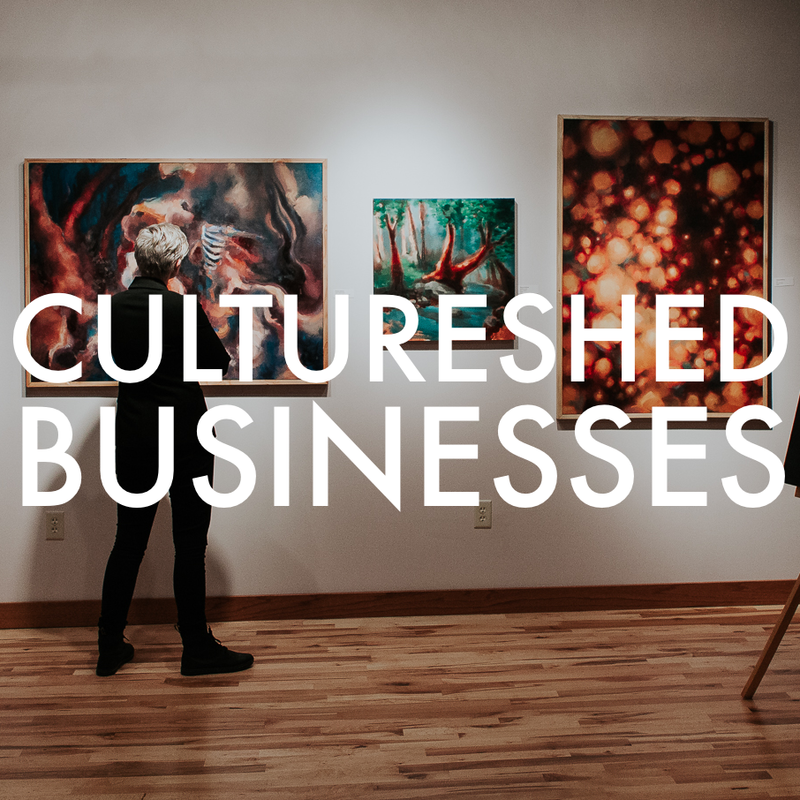 Your business can grow the local creative economy by choosing to purchase local art for your facilities. Click here for access to local curatorial services and join this exciting movement! The IDEA Center is building a network of start-ups and independent contractors that produce creative content. Hiring local creatives like Thousand Lumens helps to grow these high-need fields. Email us to get connected. Artisan Alley is a unique arts shopping district in downtown Stevens Point that is launching new businesses like ArtEffects. Click here to learn more about these clustered storefronts. The Central WI Craft Collective is a Stevens Point Area Convention and Visitors Bureau promotion that celebrates our rich tradition of beverage making. Pour. Sip. Enjoy. The Central Rivers Farmshed is the heart of our local food movement. Learn how locally sourced food is adding flavor to the culinary arts scene in Portage County. CREATE practices data-driven solutions proven to grow economies through investments in creativity. For a better understanding of the research motivating our work, click here to read our report: "The New Economy: How Creative Communities Attract Growth," co-written with the Central WI Economic Research Bureau.